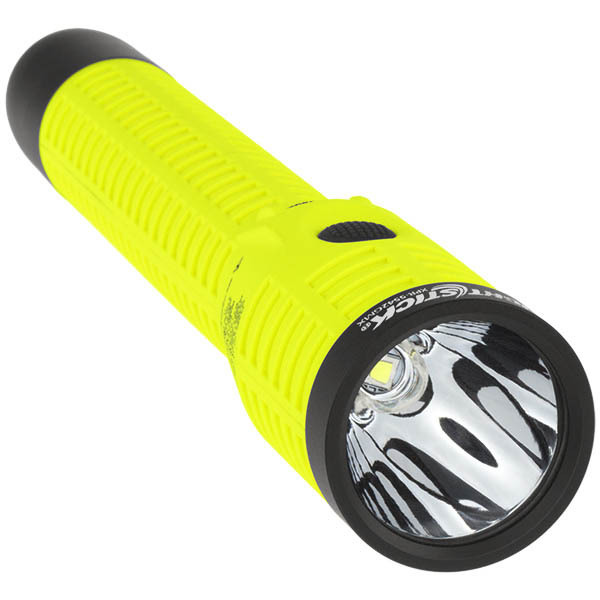 The XPR-5542GMX Rechargeable Dual-Light Flashlight with Magnet is cULus, ATEX, and IECEx listed Intrinsically Safe for use in both above and below ground hazardous locations where explosive gases and dusts may be present. It uses a CREE® LED rated at 400 lumens that works in conjunction with a high-efficiency deep parabolic reflector to create a usable beam rated at 215 meters. A 225 lumens unfocused floodlight is integrated in to the housing which is perfect for close-up illumination. 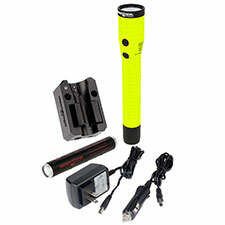 Additionally both the flashlight and the floodlight can be turned on at the same time for maximum safety and versatility. The flashlight body switch provides momentary or constant-on functionality, a set of user-selectable high, medium or low-brightness settings as well as a strobe and the second body switch operates the floodlight. The powerful magnet built into the tail-cap provides for hands-free use. Power comes from a rechargeable Lithium-ion battery.